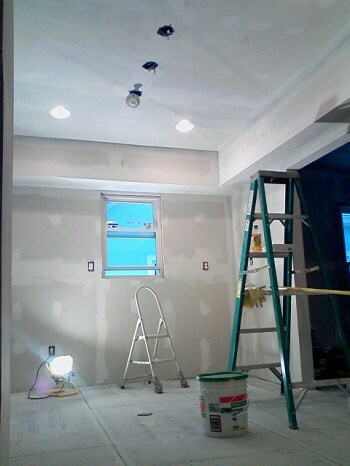 We’ve covered a lot of different loan types on the blog, but I just realized there’s one I’ve never talked about, a type of loan that I used several years ago for a home remodeling project. Signature loans can be a great solution when you don’t want to refinance your home, or you just need a quick loan for a small project. These loans work a lot like a credit card, but rates are usually lower. 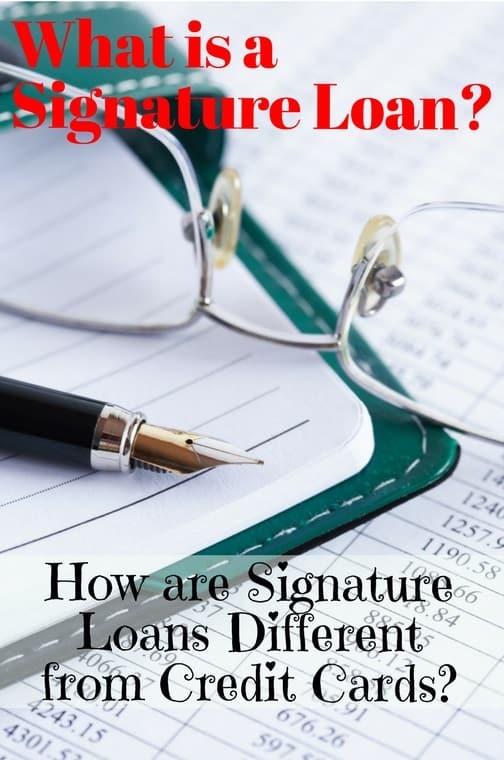 Understanding how a signature loan is different from other types of loans and how to apply for one will help you get the money you need at the best possible rate. What is a Signature Loan used for? Signature loans are a type of unsecured personal loan, usually from a bank or a credit union. The name comes from the fact that you get the money solely on your signature and promise to repay it, without having to put down collateral like your home. Signature loans can range from $5,000 to $50,000 but rates are going to be higher if you borrow more money. Your bank loves the interest it collects on these loans but ask for as much as you can get and your loan officer may start sweating bullets. Unlike most personal loans, signature loans might be a revolving credit line. This means you get approved to borrow up to a certain amount but then only borrow as much as you need. You are only charged interest on the amount you’ve borrowed and can borrow more on the account later. I’m not a fan of this type of signature loan because it turns it into something like a credit card. You never pay the loan off because the account stays open even if you don’t owe anything and you have no fixed monthly payments. Like a personal loan, you can use a signature loan for any purpose. We used a signature loan to make some renovations on our home, borrowing $15,000 and then later refinancing to pay off the loan. I’ve seen other people get a loan for debt consolidation and to buy a car without having to get a car loan. What is the Interest Rate on a Signature Loan? Since signature loans require no collateral, the interest rate will be higher compared to other loans like your mortgage. This makes sense. Lenders have to charge a higher rate to take that extra risk if borrowers default and there’s nothing to offset the loan losses. You might repay your loan but other borrowers won’t so the bank charges a higher rate on all loans to even it out. Most signature loans are made on variable rates, usually based on some kind of benchmark like LIBOR. This means the interest rate you pay could change each year depending on where overall interest rates go. Your bank will usually set a maximum amount the loan rate can increase per year or over the lifetime of the loan. Terms on a signature loan tend to be either three- or five-years but I’ve seen banks approve a loan for up to 15 years. Even if your loan is a line of credit account, it will probably have an end date where you have to reapply. Is a Signature Loan the Same as a Credit Card? There are a lot of similarities between a signature loan and other types of loans like a credit card. Signature loans differ with credit cards though in that you usually get one from your bank where you might have a mortgage or other loan already. Since the bank knows you and already made your mortgage loan, it’s able to work with you on the signature loan. Can You Get a Signature Loan on Bad Credit? Having bad credit won’t disqualify you from getting a signature loan but it will make it really tough. When we got our loan, the bank required a 720 FICO score plus a mountain of documents. Getting a signature loan on bad credit may mean you have to shop around to find a bank that will make the loan. You might have to open a savings account and wait for a few months to build up a history with the bank so they see you have regular income. Most banks have strict credit score requirements for signature loans, usually a 640 FICO score or higher. If you’re having trouble getting a signature loan from a bank, you might try PersonalLoans.com for an unsecured loan. The website has a network of lenders, some that work specifically with bad credit borrowers, to help you find the right loan for your needs. You fill out one application and can get offers for personal loans, peer loans and traditional bank loans. It’s always best to check your credit score before applying for any type of loan. That way you know where your score is and for what type of loan you can qualify. A credit score under 600 FICO may disqualify you for loans from traditional banks because this is the cutoff for ‘prime’ lending and most federal loan guarantees. You can still get a loan with a lower credit score, but you will have to go online or to a credit union. Even if you’re looking for a signature loan from your bank, it still pays to shop around to make sure you get the best rate possible. Go to a few banks and credit unions to get the requirements for a loan and a rate quote. An important note here, make sure you’re ready to get a loan before you apply at different places. Most online personal loan sites will do a soft inquiry of your credit for pre-approval and won’t affect your credit score. Banks checking for a signature loan will do a hard inquiry though and this will hurt your score. Applying at multiple places counts as one inquiry though so you can shop around to make sure you get the best deal. You’ll need a regular income to get a signature loan, usually a monthly income of at least $1,500 and the bank will require some other documents. Your current monthly debt payments usually can’t be more than 30% of your income for most signature loans. This will vary by bank and by size of your loan but you might want to try paying off some debts before applying for a signature loan. Signature loans can be a quick way to get the money you need because they don’t require as much paperwork as a mortgage. Rates are a little higher but usually not as high as a credit card and way lower than cash advances. Understanding what a signature loan is used for and how to apply will help you get the best deal possible.